Cambodia’s fintech ecosystem is more nascent than other markets in Southeast Asia and lagging behind the likes of Thailand and the Philippines. Yet, this landscape is quickly changing as engaged institutional partners are set to add to the pace of growth for fintech. Currently, only 13% of adults have bank accounts, and fewer than 4% save with a formal institution. This represents both an opportunity and a challenge considering the scale of financial illiteracy and the clear need to bridge educational and behavioral gaps. According to a new study commissioned by the Asian Development Bank (ADB), adopting digital financial services could significantly expand economic activity in Cambodia and increase GDP by about 6%. 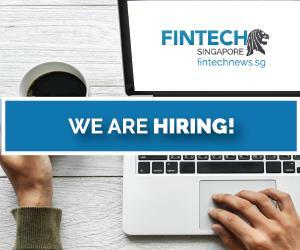 Fintech has the potential to generate more than US$1.7 billion in additional electronic payment flows, fuel more than US$2.5 billion in additional credit uptake and mobilize more than US$500 million in savings. So far, financial inclusion in Cambodia has largely been served by Microfinance Institutions (MFIs). A more recent trend has been the widespread adoption of mobile payments for domestic money transfer services: 33% of adults have received money through mobile money services in 2016. These elements have laid the groundwork for rapid uptake of digital financial services, the report claims. 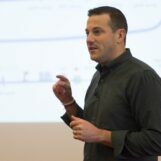 McCarthy told the Phnom Penh Post that the majority of banks and financial institutions were investing heavily into new digital financial products. Most banking customers in Cambodia fail to see the need to move beyond operating in cash, he said. The majority only holds accounts to receive paychecks and typically make full withdrawals on payday. According to So Phonnary, vice president of Acleda Bank, Cambodia’s largest bank by assets, fintech products need to be developed with the existing financial literacy of clients in mind. “Most customers still rely on traditional cash-based services and the key to financial inclusion is dependent on educating customers about the benefit of online services, which they don’t know about,” she said. In the payments area, Wing is undoubtedly one of the front-runners. 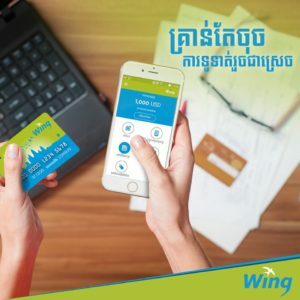 Launched in 2009, Wing has provided ways for Cambodians to send and receive money anytime, anywhere with the use of a mobile phone. Leading telecommunications company Smart Axiata as well has been tackling the mobile opportunity, launching last year SmartLuy, a mobile money service that allows customers to transfer funds and transact digitally, and SmartPay, a mobile payment system using a virtual MasterCard to make purchases. To boost the local startup ecosystem, Smart Axiate launched last month a US$5 million venture capital fund for Cambodian-based digital service companies and startups. 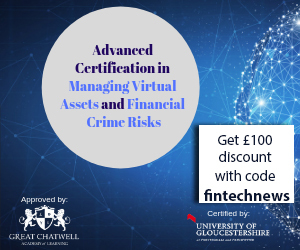 Thomas Hundt, CEO of Smart, said the fund will be looking for companies or entrepreneurs in the technology space, related to sectors such as fintech, digital commerce, entertainment, social media, advertising, education and healthcare. Individual investments from the fund will vary from US$25,000 to US$500,000 according to the stage, industry and funding requirements of each business. 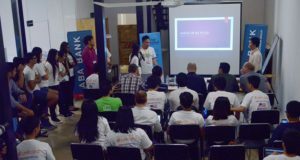 At Cambodia’s first Startup Weekend Fintech in February, 11 ideas were pitched but only six teams made their way to the final. The finalists included Snapcash, a mobile app offering loans service, Mochay, a retail payment mobile app that uses QR codes for processing orders, and Pikgy, a financial literacy app that provides gamified saving scheme. Angkor Biz Pool, a taxation platform for businesses that helps to comply with Cambodian tax regulation, won the overall competition. Chanda Pen, managing partner of Bongloy, an API-based payment solution that enables merchants to acquire payments online, was a mentor at the Startup Weekend Fintech Phnom Penh 2017. The Startup Weekend is a 54-hour event that aims to bring together Cambodian designers, developers, entrepreneurs, and experts to create viable business models and solutions solving real-world business problems. The weekend culminates with presentations in front of local entrepreneurial leaders with another opportunity for critical feedback. One Cambodian startup has recently caught the eye of the international fintech community. 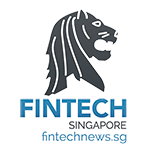 Morakot Technology, a startup that has developed a core banking system for microfinance and banks, was selected in March to join the prestigious Startupbootcamp Fintech acceleration program in Singapore. 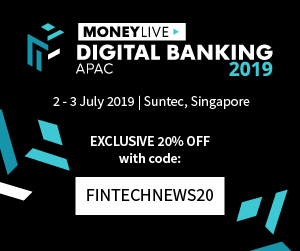 Alongside 11 other startups, Morakot Technology will receive mentorship from a panel of experts and access to potential pilot customers, capital and partnerships with the likes of MasterCard, CIMB, DBS Bank and PwC. Last year, online accounting startup BanhJi became the first Cambodian fintech startup to join the program. BanhJi provides a free and localized industry specific platform that allows SMEs to record and manage purchases, expenses, and taxes.